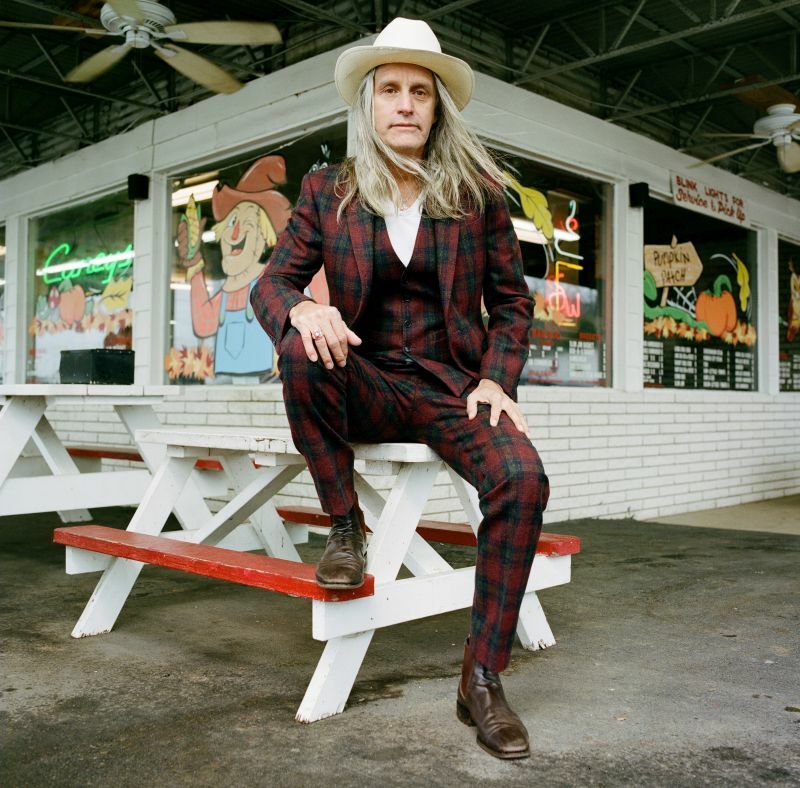 Throughout over three decades in music, Steve Poltz did it all and more-often shared by way of his rockin' countrified folk slices of sardonic Americana (hatched in Halifax). Of course, he co-wrote Jewel's multiplatinum Hot 100-topping megahit "You Were Meant For Me," but he also went on a whale watch with her and a few federales that turned into a drug bust. The two still share the story at every festival they play together. He made his bones as the frontman for underground legends The Rugburns, who burned rubber crisscrossing the continent on marathon tours and still pop up once in a while for the rare and quickly sold out reunion gig. 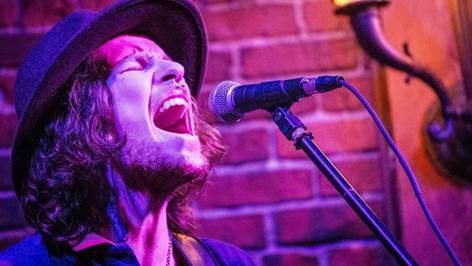 In 20 years since his full-length solo debut, One Left Shoe, he blessed the world's ears with twelve solo records, spanning the acclaimed 2010 Dreamhouse and most recently Folk Singer in 2015. NPR summed it up best, "Critics and fans alike now regard Poltz as a talented and prolific songwriter." By 2016, he survived a stroke, endured anything the music industry could throw at him, and still performed like "280 days a year." "My girlfriend Sharon sold the condo we were living in, and I was ready to live in a van, which seemed like a good idea for one night-then I decided I wanted a kitchen and a closet," he admits. "Sharon wanted to move to Nashville, because she thought it would be good for me. It caused a huge fight. I'd been in San Diego since 1980, and that's where I cut my musical teeth. I thought I'd never leave. In fact, at the height of our fight, I said, 'I'm not leaving San Diego. I am San Diego!' This makes me laugh now. As soon as I got to Nashville, I immediately knew I wanted to make a record in 'Music City'." So, the man who once protested "I am San Diego" made Shine On in his new home of Nashville with one of its elder statesman behind the board, Will Kimbrough [Emmylou Harris, Rodney Crowell]. Holing up in the studio at Kimbrough's house, nothing would be off limits. Together, they unlocked the kind of creative chemistry you only hear about in band bios-but for real. "I respect Will so much, and I'd always wanted to work with him," says Steve. "Like two mad scientists, we just took our time and had fun. We didn't overthink things. Everything felt organic. We ate soul food and drank lots of really good coffee. We tried out weird sounds, and the songs always started with voice and guitar-no click track, just how I'd play them. I road tested many of them, and they were ripe for the picking when recording time came around." Evoking themes of "hope, love, contemplation, celebration of Wednesday, pharmacists, and the fact that windows are not inanimate objects and they sometimes have conversations with each other," the record represents Steve at his most inspired and insightful. The opener and title track "Shine On" pairs a delicate vocal with lithely plucked acoustic strings as he urges, "Shine on, shine on." "The song was a gift," he recalls. "I woke up really early in Encinitas, California at Sharon's sister's house. The sun was just coming up. I was all alone in perfect solitude. My guitar was there. The sky was gorgeous. I wrote it as a poem. Everyone always told me, 'Never start a record with a really slow song.' So, seeing that I have O.D.D. (Oppositional Defiance Disorder), I started my record with one. I love the mood it sets. It's almost like my mission statement, trying to find some semblance of positivity and light in a sometimes ruthless world." On "Pharmacist," rustling guitar and harmonica propel a tale of "this dude having a crush on his pharmacist." It also serves as an extension of his friendship with neighbor Scot Sax-with whom he shares the podcast "One Hit Neighbors" (since they've both had one hit song). Meanwhile, he joined forces with Molly Tuttle on "4th of July," which, of course, came to life on the 3rd of July. "Ballin On Wednesday" drew its title and chorus from a diner checkout girl (with a super cool gold tooth) who Steve paid with a $100 bill and she replied, "Oooh, ballin' on a Wednsday." The finale "All Things Shine" skips along on sparse instrumentation as Steve sends a message. "'All Things Shine' came about after one of the many mass shootings on this planet," he sighs. "I was feeling overwhelmed. So, I wanted to put my feelings into words and melody. I was thinking that even if we're feeling hopeless that there is still beauty. All things shine in their own way." In the end, for everything you can call him "searcher, smartass, movie freak, lover of technology, news junkie, baseball fan to nth degree, lapsed catholic who still believes in god even though all his friends are atheists and think he's an idiot, and maker of fun," you might just call Steve that little light in the dark we all need in this day and age. "I hope Shine On makes listeners smile and feel welcome, and they want to share it with their friends," he leaves off. "Music means energy to me. All things. It connects us, makes us move, helps us relax, and inspires us to change things up." Taylor Kingman sits singularly as a standup example of the duality of man. Heavy metal flower petal, he's a little bit country and a little bit rock 'n roll, freely selling you a beautiful mess as both a loyal pack member of The Hill Dogs and a lone wolf solo performer.